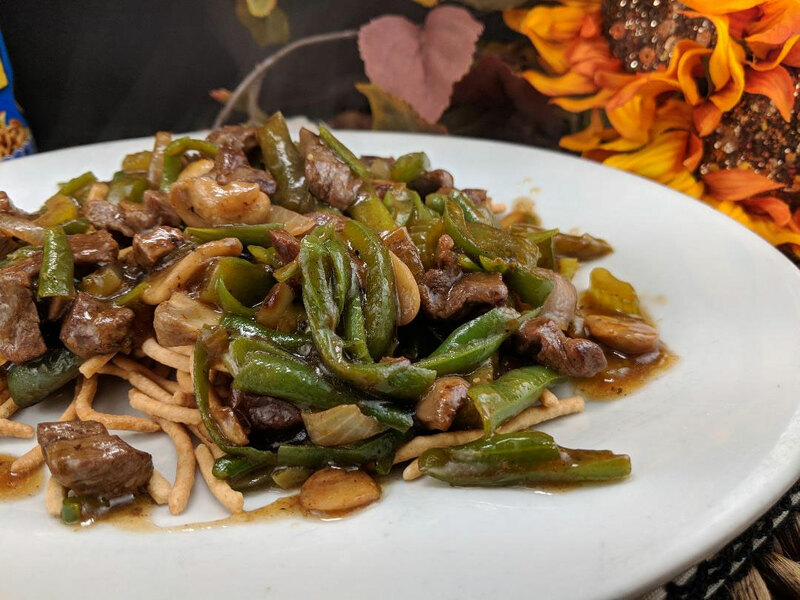 This Beef and Green Beans is more like a Stir Fry. I got this recipe from a cookbook my Aunt sent from her church in Illinois. My Uncle was the Pastor at the time, and they made a cookbook for a fundraiser. This was my Aunt’s recipe. I used to make this all the time when my kids were little. Now they’re not so little….I was going through my recipes and came across this and decided to make it. 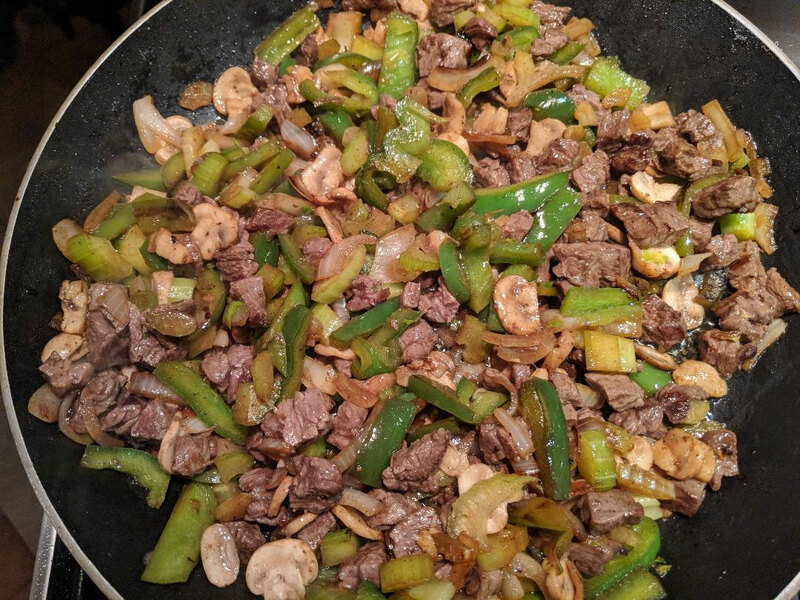 I have made a LOT of stir fry’s since then, and have learned to tenderize the meat before adding to the skillet or wok. There are many methods of tenderizing tougher cuts of meat including “velveting”. Velveting however takes a bit of time. One method I use that is fairly quick, but effective is marinating the beef in Soy Sauce. Soy Sauce is in this recipe anyway so its a worthwhile step. You can marinate 10 minutes up to an hour, which is more in line with my time schedule for making dinner. Marinate a pound of beef in about 3 Tbsp Soy sauce. Drain and you are ready to cook. This recipe uses various fresh veggies, originally calls for jarred mushrooms, and cut green beans. For some reason I have always used frozen French style green beans and sometimes use fresh mushrooms or jarred depending what I have. 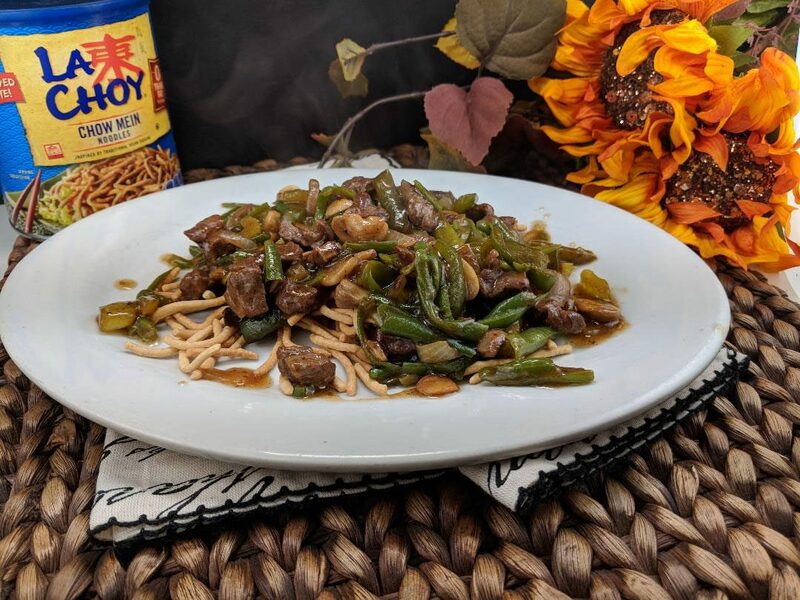 This recipe can be eaten alone, on top of dry Chow Mein Noodles or rice. It’s a great recipe for a weeknight meal. Add veggies and cook to crisp tender. Add thawed frozen French style green beans. Cut the beef into strips, or small pieces whichever you prefer. Place in a non metallic bowl, and add 1-1/2 Tbsp soy sauce. 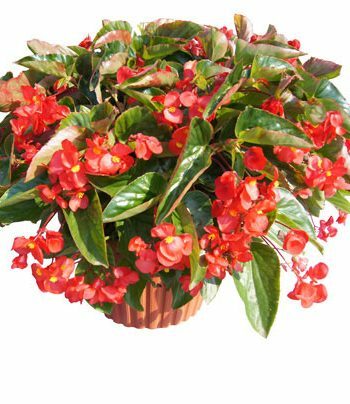 Mix and cover with plastic wrap. Put in fridge and let marinade for 10 minutes up to an hour. Drain out excess soy sauce. In a hot skillet, add 2 Tbsp oil. Place meat in skillet and cook on medium high or high until neat is browned. Remove meat from pan and set aside. Put skillet back on burner on medium high to high heat. Add 2 more Tbsp oil. 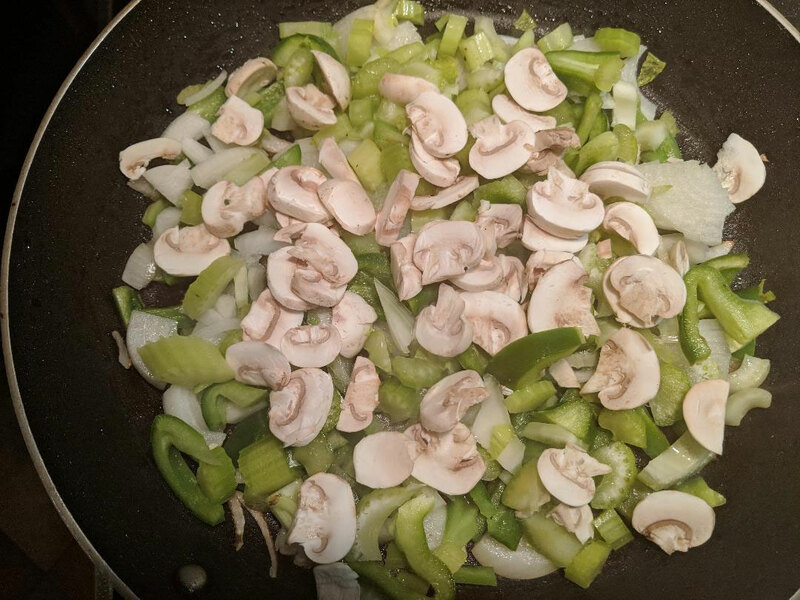 Add green pepper, onion, celery and mushrooms if using fresh. 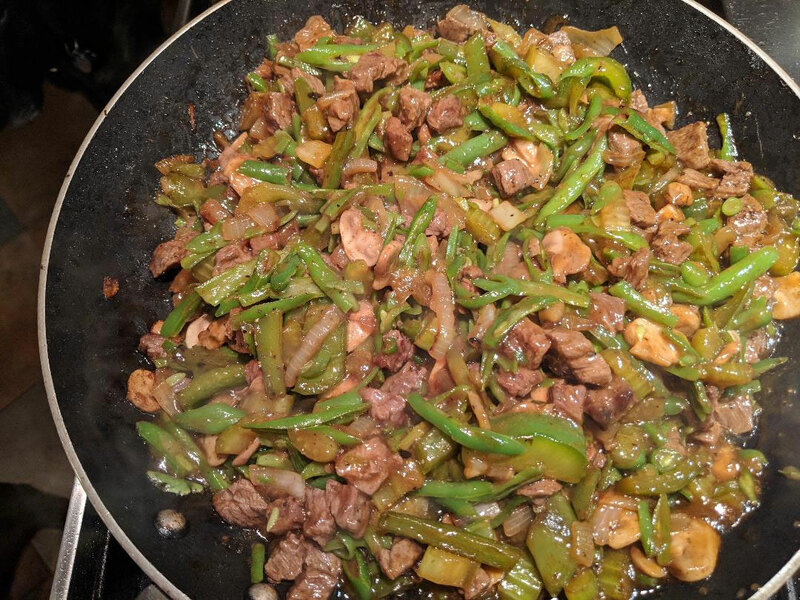 Stir fry until criap tender. Add thawed green beans, and mushrooms if using canned. 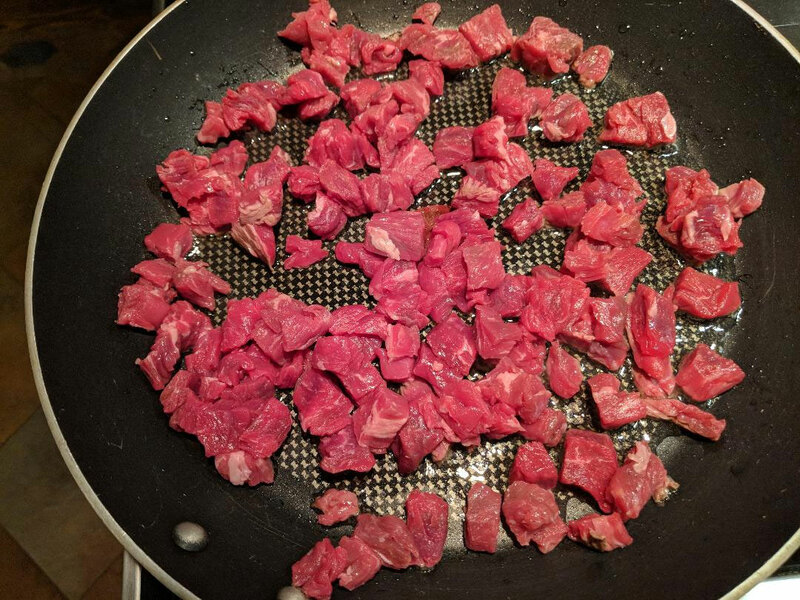 Add beef back to the pan. Cook until heated through. Mix cornstarch into liquid mixture and add soy sauce. Add to veggie and meat mixture. Cook until thick and velvety. If too thick, you can thin with a little more water.